One of the members of the Visit Indiana Flickr Group recently posted a set of photos detailing the newest public art in downtown Indianapolis. 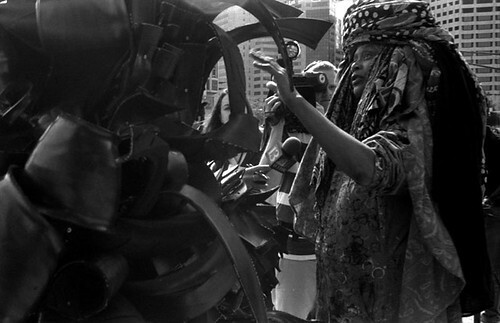 Chakaia Booker: Mass Transit (by diong) is a great photo set that details the work of Chakaia Booker, Indianapolis’ newest artist with work displayed throughout downtown. If you end up in the Indianapolis area, you should be sure to check out her work downtown. The Indy Star has a great interactive piece that describes the art and shows you where the pieces are located around town. Check it out.